The Constitution of India declares it to be a sovereign, socialist, secular, democratic republic, assuring its citizens of justice, equality, and liberty, and endeavors. Under the same constitution, people of India are expected to elect after every five years, 543 representatives, who shall constitute the Parliament of India. The parliament in turn elects the Government that rules the country for next five years through a team of ministers headed by the prime minister. The elections to elect the people's representatives is a mammoth, mind boggling exercise, the sheer scale of which appears unbelievable. About two thirds of India’s 1.3 billion people are eligible to vote, but around 814 million people are actually entitled to vote. This largest electorate in the world will vote in April-May 2014, for their representatives, at 930,000 polling booths using 1.7 million electronic voting machines. The voting will take place on 9 days, spread across 5 weeks. 11 million personnel including members of armed forces would be deployed just to provide a secured environment, while 5.5 million civilians will be employed to manage the voting process. India's election commission, an autonomous, constitutionally established federal authority, would administer the election. To identify the voters, it has already equipped more than 96% of the entitled voters with electoral ID cards. 2014 elections would be the largest such exercise administered by the commission with 100 million more voters than in 2009 . Another first is that 24 million voters aged 18 to 19, who can be swayed by internet based social media, will be polling for the first time and their votes are expected to be absolutely crucial. What about the costs? The whooping total amount of money that is expected to be spent on 2014 elections, is likely to be in the vicinity of Rs. 300 Billion (US$ 5 Billion), out of which Rs. 70 to 80 Billion would be spent by the exchequer. Election Commission is likely to spend around Rs. 35 Billion, while federal Home Ministry, Indian Railways and various other government agencies and state governments are expected to spend a similar amount to ensure free and fair polls. The election commission officially allows the candidates to spend only Rs. 7 million for the election. However real cost of winning is about 10 times that, because of spending on rallies, fuel and media campaigns that often include payments for coverage. For each of the 543 seats many prospective candidates would be offering themselves for election. Because of this fact, it is expected that the candidates and political parties would spend about Rs. 120 to 130 billion. With this kind of money being spent in a short period of two months, it is likely to give a boost to the economy, which has been heading to below 5% growth in current financial year that would end in March 2014. So, who are likely to be the real beneficiaries, who expect to get this windfall. Most of the expenditure incurred by exchequer, except for the cost of electronic voting machines and batteries, is of administrative nature and fuel. 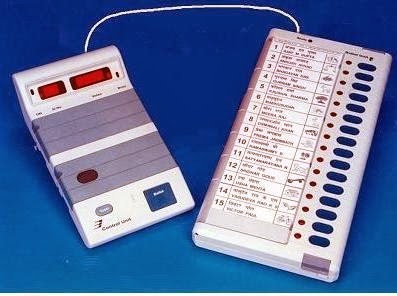 The voting machines are again manufactured by two public sector units and as such there may not be any windfall gainers. The real money comes from the candidates themselves. Since the official amount that can be spent is only Rs. 7 million, a large amount is expected to be spent in cash. The moneys, both legal and illegal, must have been ready with the parties and the candidates. One of the biggest gainers from election funds are media groups and advertisers. India's advertising industry expects to see an inflow of Rs. 49 billion during the election season. Besides this, auto manufacturers making 'off road' vehicles and consumer-based firms are likely to gain indirectly, as expenditure would jump towards the sky. Service providers like hotels and taxi operators are also likely to gain. It is reported that the Congress party has opted for many of the same people who were behind its advertising campaign for the 2009 elections, picking Dentsu and Taproot and JWT, while its public relations is being handled by Genesis Burson-Marsteller, the agencies that will handle the Rs 5 billion contract. The principal opposition party, BJP is believed to be zeroing on McCann Worldgroup with its Rs. 4 billion budget. Electoral campaigns require lots of campaign materials like vinyl box posters, flex, paper posters, cut-outs, banners, flags, handbills, kites, caps and umbrellas printed with party symbols. The traders dealing in such materials expect to see pouring of bulk orders, once the nomination process for candidates is over. These traders are so business oriented that they have no preference for a particular party. For all political parties, costs are the same. As individuals traders may have their political beliefs, but when it comes to business, all parties are equal or same for them. The prices charged for their products are the same for every party or candidate, who place their orders. A campaign material producer has installed more printing machines in his press to deal with the growing pressure of orders. With prices of the most of the campaign materials up shortly, the traders are also likely to gain a lot. In the coming election in India, there are to be only 543 winners but the loser’s number could be 10 or even 20 times of that. 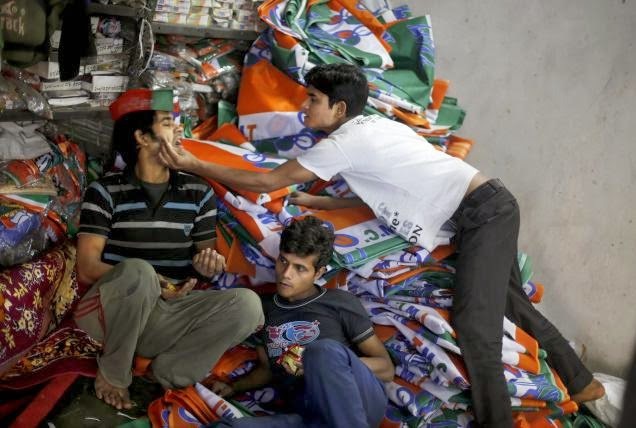 Irrespective of the fact, whether they have won or lost, they are all going to spend heavily for the elections. For the beneficiaries, candidate's loss or win has no real meaning, they have just done their jobs.